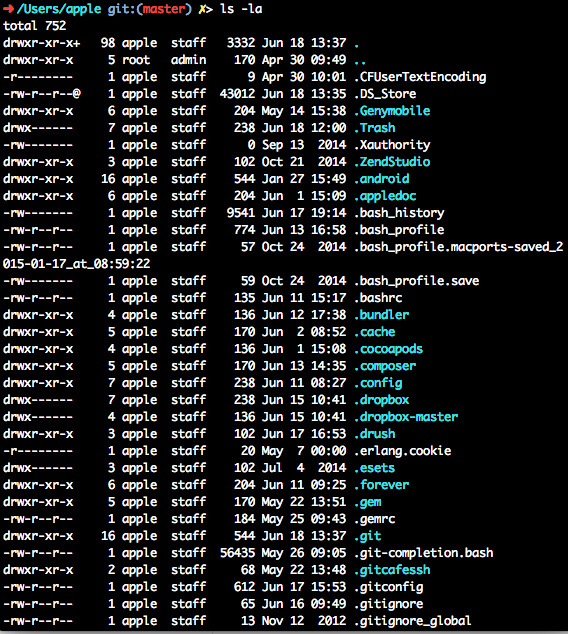 Directory listings for zsh with git features. 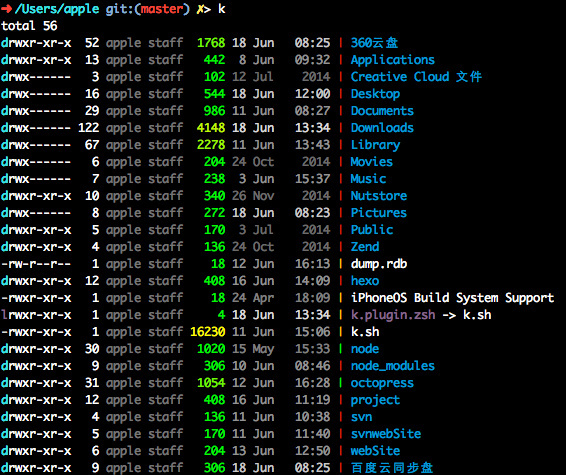 k is a zsh script to make directory listings more readable, adding a bit of color and some git information. 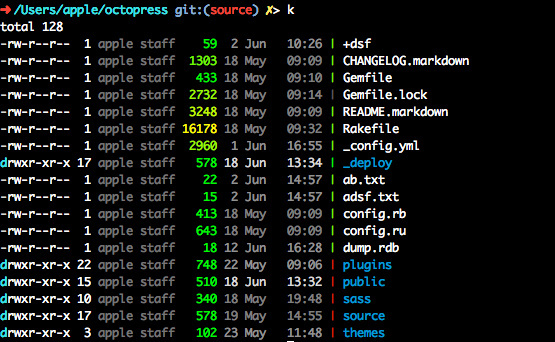 Red for dirty, green for committed. Red for dirty, green for committed, orange for untracked, grey for ingored. 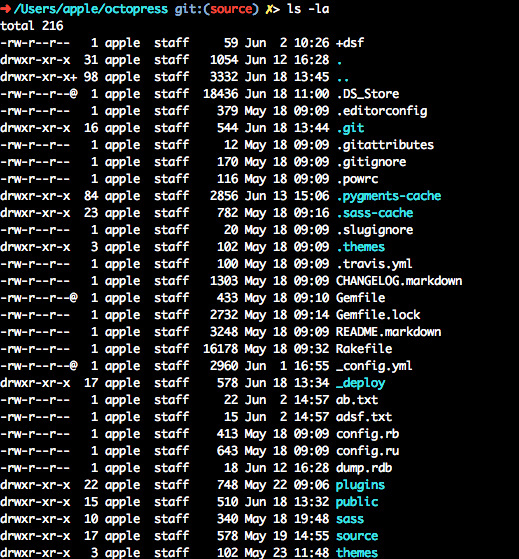 Put k.sh somewhere, and source it in your .zshrc.